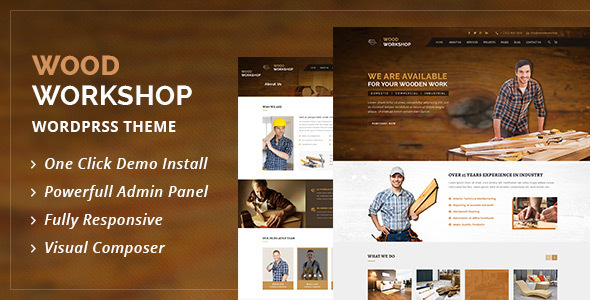 Wood Workshop WordPress theme is specially designed for all kind of Carpenter sites and businesses. The most common usage includes carpenter, construction, handyman, Repairing websites. The theme has beautiful and unique design that will make your website stand out. It has 100% responsive design and tested on all major hand-held devices.